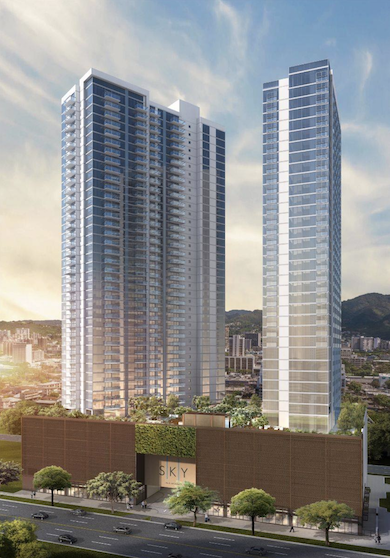 Keauhou Place is a condominium project that was built in 2018. 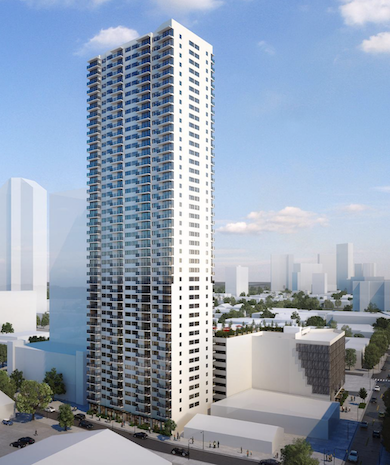 The project features a condo tower along with townhomes that wrap the parking structure. There was much excitement when Down to Earth, a local health food store, was announced to go in the ground floor of Keauhou Place. The project sits adjacent to a commercial shopping area called Keauhou Lane. The Lane is used as the main entrance to Keauhou Place and when the railway makes its way into Honolulu, it will be the primary access point for the Civic Rail Station located at Keauhou Lane. The building sits 43 stories tall and features 423 total units. 388 units in the tower and 35 townhouses. 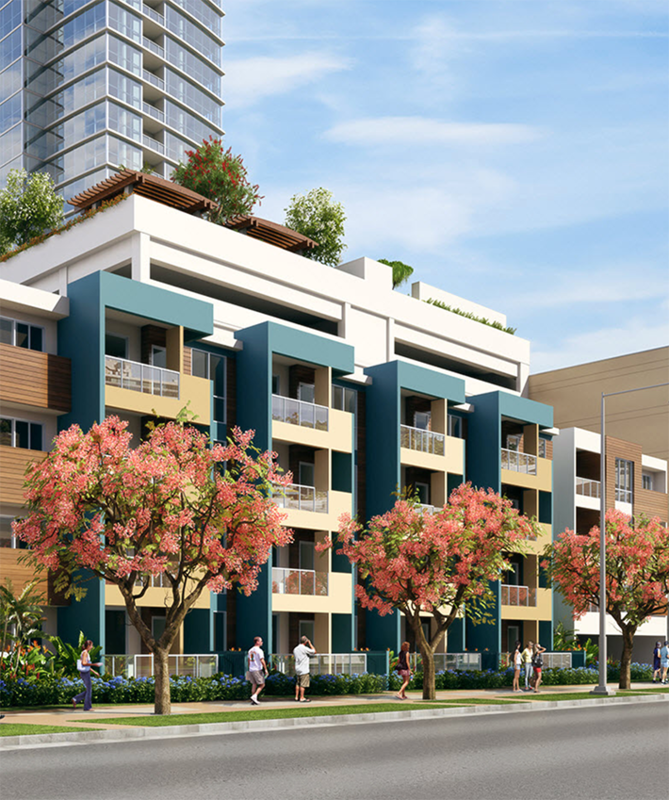 The neighborhood is the real draw for this particular project as its within close proximity to SALT, Keauhou Lane, the future Civic Rail Station and walking distance to Downtown Honolulu. 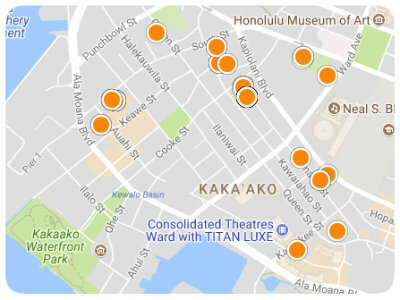 The idea behind living in a building like Keauhou Lane is that you get to explore all the amazing things the immediate neighborhood has to offer. That means getting out of your car and exploring on foot or by biki. If you need groceries and you can't find what you need at Down to Earth, there is a nearby Flagship Whole Foods Market, Target, Walmart, and Foodland Farms. There is also a Costco just a short drive away. 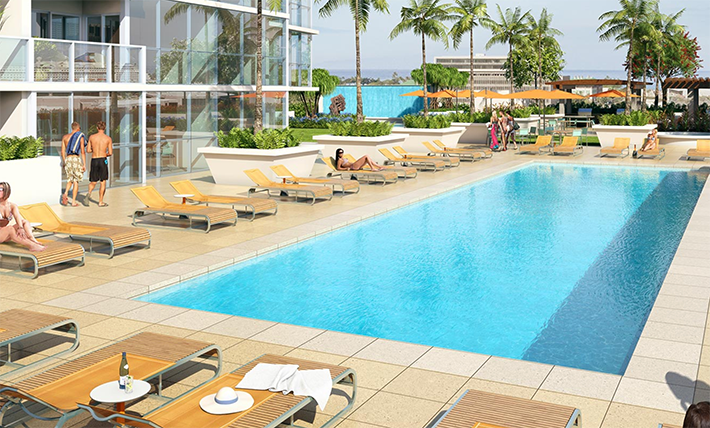 The Amenities at Keauhou Place will leave you satisfied but will not blow your socks off. You can expect a very modest recreation room for parties and get togethers and BBQ areas. The best part about the amenities has got to be the very large pool that is ideal for hot summer days. Keauhou Place has one of the biggest pools in this price point. When you enter the lobby from Keauhou Lane you will find a nice and well maintained lobby but don't expect a doorman or security. Keauhou Place has very few staff and no one to man the lobby which is good or bad depending how you view it. 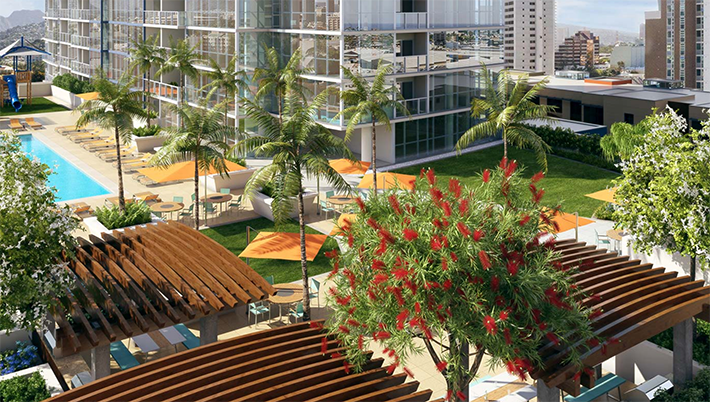 The units at Keauhou Place are what makes this building so great. You can expect fairly large units compared to other buildings in this price range. My favorite unit is the three-bedroom floor plan on the ocean side of the building. It spans the entire front of the building so you have direct ocean, diamond head, and west facing views. Very few building anywhere in Honolulu can offer three exposures. Look out for Quartz countertops, Kohler plumbing fixtures, porcelain tile, and luxury vinyl plank flooring. 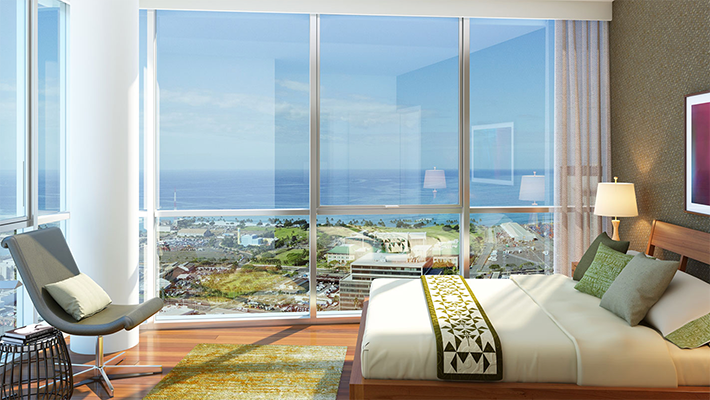 Floor to ceiling glass allows for plenty of natural light to enter the unit and makes for amazing views of the pacific ocean, downtown Honolulu, or of the Koolau mountain range.